Confession: My latest test ride has been an ongoing love affair that’s lasted quite a bit longer than the typically allotted trial period of 10 days. It’s a Sommer Esprit Flextra and it is magical. 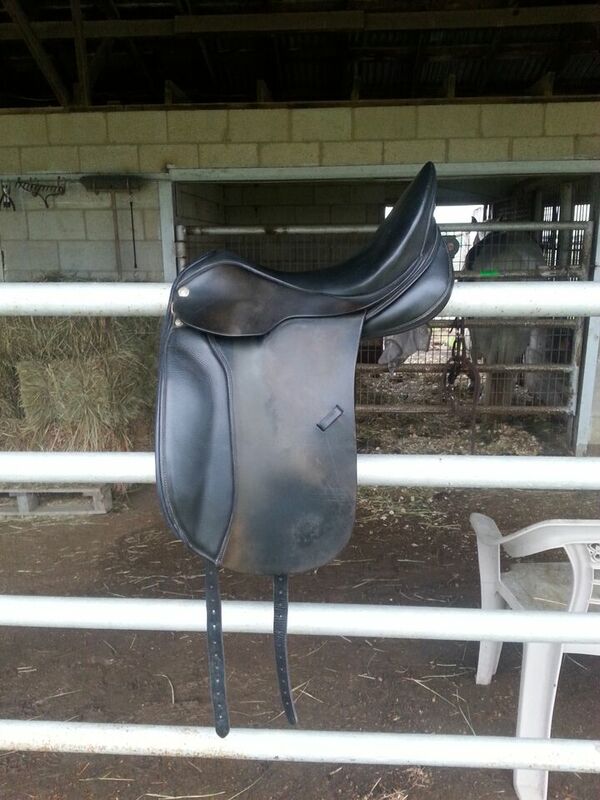 What I like most about this saddle is the seat. It’s very deep without feeling restrictive. It helps me sit squarely on my seat bones and makes it easy to stay tall and straight. Even Johnny noticed the difference the Sommer makes (he rides Moe in a dressage saddle); he commented that it made it easier for him to sit up. The knee rolls are big, but not outrageous. My leg hangs perfectly; I had to let my stirrups down two holes to get the right feel. 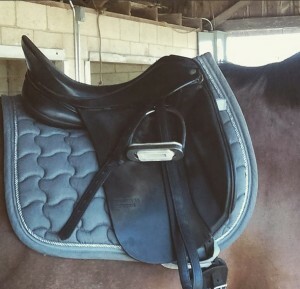 The Flextra tree means the saddle moves well with the horse, which means I move well with the horse. I can easily feel every step of the canter. Cues given with my seat are responded to, which is a nice change. The half-flap means I have a great feel through my legs and can use my aids more effectively. 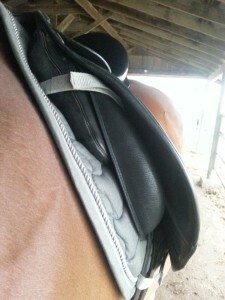 Like the other Sommer saddles I’ve ridden in, the Esprit has beautiful, supple leather and a softly padded seat. It’s comfortable even after a couple of hours of sitting around at a dressage show. It has wide panels for better weight distribution; both Moe and Gina seem to find it comfortable. The tree’s short points don’t interfere with the shoulder, which is great for behemoth Gina. It’s a fantastic saddle. New, it retails for just over $4200 (more if you customize it with special leather, colors, piping, or purple crystals). The used one I’ve been riding in is consigned for $2400. I figure if I sell the King’s and a kidney, I ought to be able to afford it. Right? I need y’all to pack up all your dressage saddles and come to Austin for a couple days. That’d be easy, right? If you can get a group together who need saddle fittings, re-flocking, or want to try a bunch of them out, I’ll try to persuade the dressage trailer to make a trip down there when they are back in Oklahoma next month! OH THAT IS VERY PRETTY. I have been sort-of thinking about buying a dressage saddle but my budget is definitely nowhere near Sommer-levels! 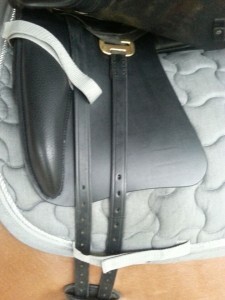 You probably don’t want my opinion… I’m the girl that walked into a tack store for boots and came out with a new saddle. Buy the saddle, you need the saddle, rice and noodles are a balanced meal. Haha, I’ll probably start saving a little more aggressively for it and get the King’s up for sale soon! Saddle arrived. I don’t like the narrow twist at all. 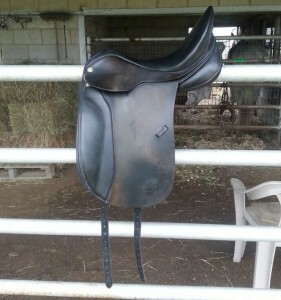 Beautiful saddle though.